I may have been around 8 and it was my birthday, it was August 31 and my mother had organized one of those birthdays that I hated then and have hated since. It is because of those birthday parties that I have never cared for cakes. 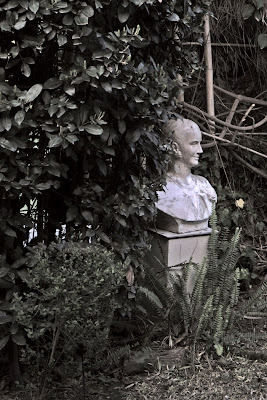 I remember this birthday party because in a particular l-shaped corner of the path leading from the street, through the long garden into our house I spotted a beautiful young woman. I had no real idea of who she was except that my mother said something like, “Greet your godmother and cousin Inesita, won’t you Alex?” That exact moment is the first time that I remember Inesita coming into my life. 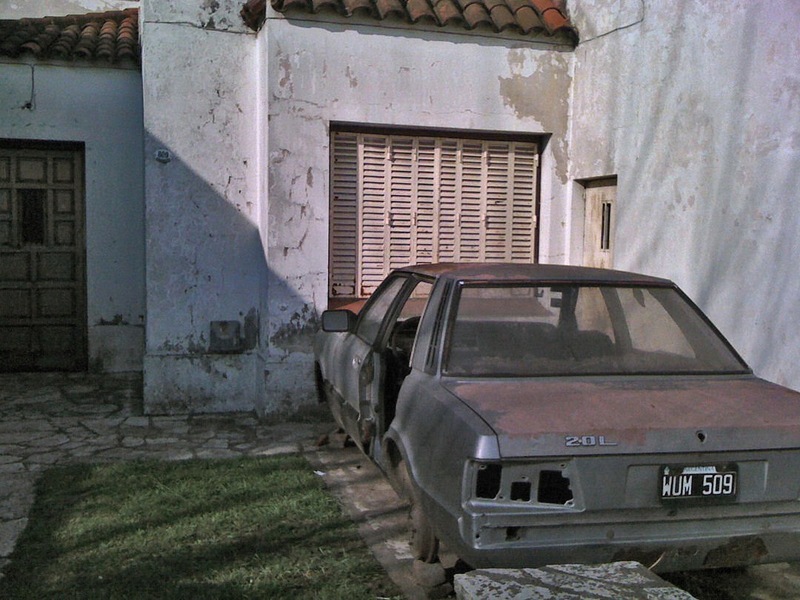 When I returned to Buenos Aires in 1964 to do my obligatory military service I stayed at her big house for a few months. She had widowed a few years before and she and her three sons and one daughter had married a wealthy widower, of German extraction, with four daughters. They had a house in the fashionable section of the city called Belgrano R on Sucre Street. I remember the first day I walked into that house. I rang the door bell and I spied a lovely young girl peeking at me from above. 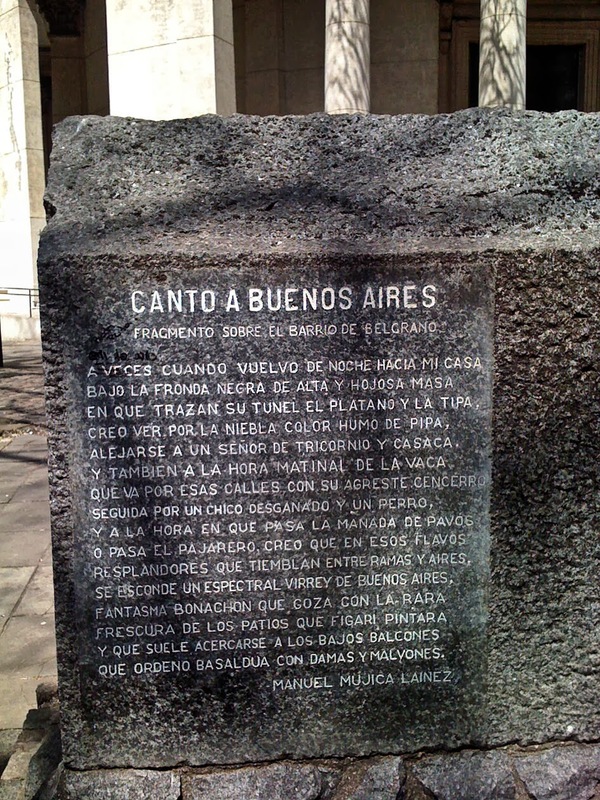 She was Inesita’s teenage daughter Marinés. I felt awkward in my ill-fitting winter blues. I was ushered in and taken immediately to dinner. 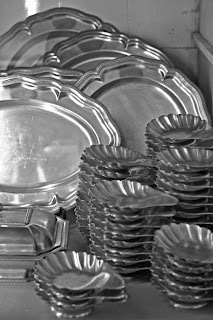 The table was one of those Hollywood film types of tables as long as an aircraft carrier. Consider that Inesita and her husband Dolfi had between them 8 children and most of them were old enough to have girl friends or boy friends. Plus there was a seat for my gorgeous red-haired first cousin Elizabeth Blew. I sat down and everybody at the table stared in my direction. It was only later that I found out that I had passed the test of manners and that somehow my table manners were adequate! Since those days Inesita has been in my heart my favourite relative for her warmth, poise and best of all for an elegance second to none. Time has been kind to her. She is now 90 and I attended her celebratory Mass (she was blessed by the Bishop of San Isidro) and her party at the Club Náutico San Isidro where she was surrounded by over 100 relatives and friends. 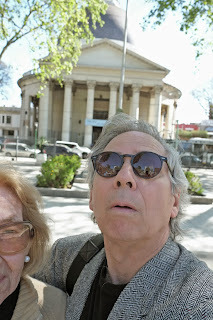 But my best memory of my visit with her in Buenos Aires is of two days. In one we sat comfortably in her den to listen to some talking books I brought for her from Vancouver. As healthy as she is, she is blind in one eye and sees poorly with the other. Spoken books are her ticket for pleasure. There were two books that she particularly appreciated. One featured short stories by Agatha Christie and in particular The Last Séance read by Christopher Lee. Then we listened, for over an hour a memoir by Diane Keaton (and read by her!) Then Again. We listened to these books after a nice lunch at a table (not too large) with beautiful china. 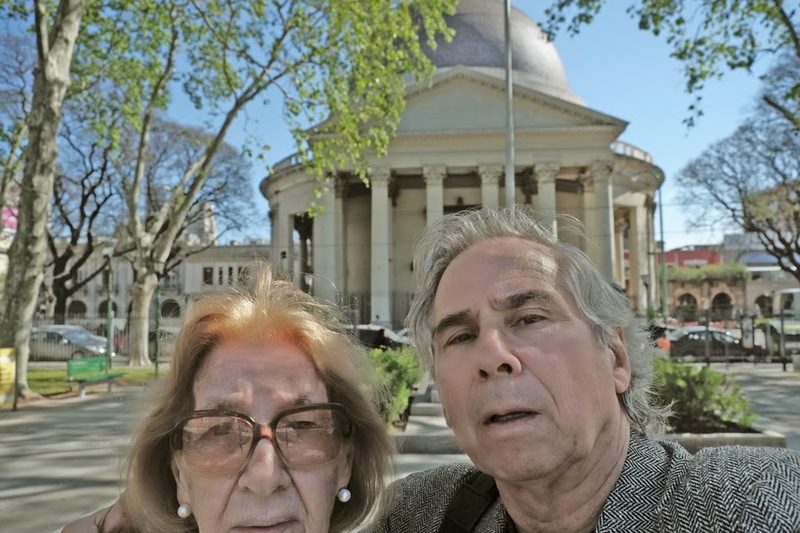 The other day I invited Inesita to have a pizza at Pizzería Burgio on Cabildo near Juramento. She told me she had never ever been in a pizzeria in all her life and that she was looking forward to it. 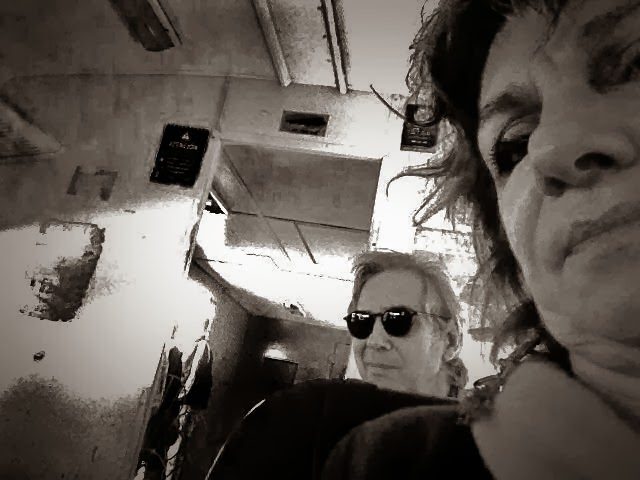 We took a cab. Our driver was an Italian. It didn’t take long before he and I found out we were fans of Andrea Camilleri’s Montalbano and that we had seen the whole Italian series based on Camilleri’s novels. Our driver told us that he had eaten pizza at Burgio and was impressed that we knew of it. Inesita enjoyed her pizza, she had several slices and an orange Fanta. She commented she liked the crispy under crust of the thinnish (but not too thin) Burgio pizza. From Burgio we decided to walk to the corner of Juaramento and Cabildo (about five blocks) to have ice cream at Freddo’s which is in the La Redonda complex. This church is my favourite Buenos Aires church, the one that I used to go as a boy and it also happens to be the one where my godmother goes for Sunday Mass. I was shocked to find out that because of her age she sometimes attends TV Mass and that somehow the Catholic Church accepts this a way of fulfilling one’s sacred duty. 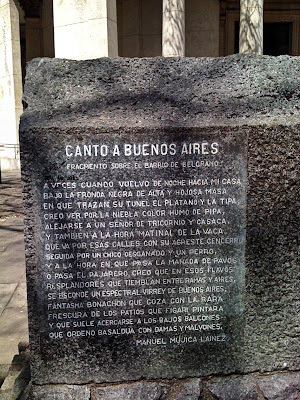 From our ice-cream we walked 8 more blocks (and she is 90 and elegantly walks like a woman of 40) past her apartment to one of my favourite spots in Buenos Aires. In a little known area of the park that is called Barrancas de Belgrano, there is a miniature reproduction of the Statue of Liberty. 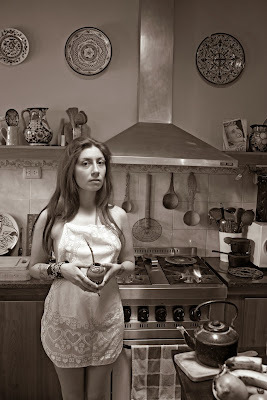 I took some snaps of Inesita and we then retired to her apartment for tea. 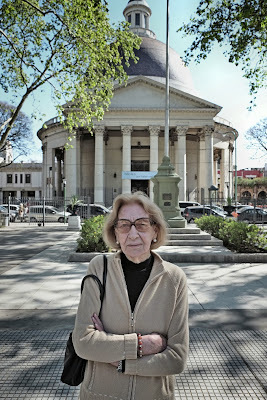 Petrona Carrizo de Gandulfo or Doña Petrona as she was affectionally called by her many fans, was Argentina’s foremost cook. 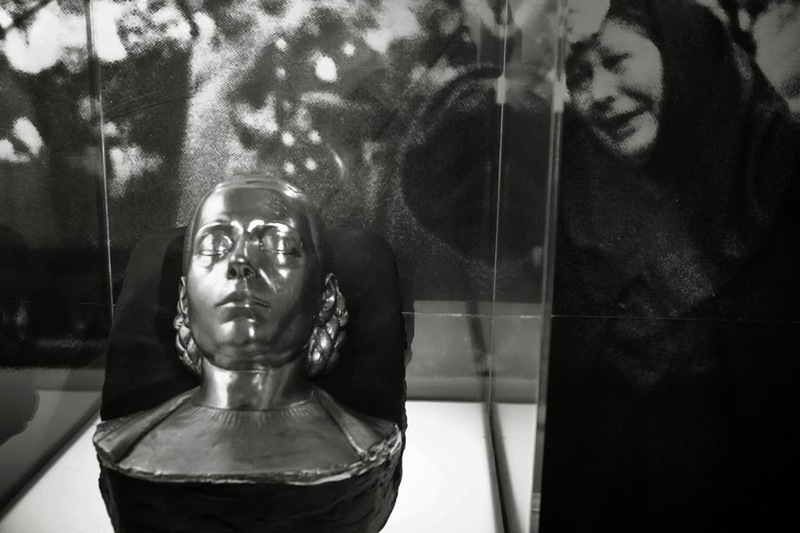 She was born in the province of Santiago del Estero in 1896 and she died in 1992. While staying at Nora Patrich and Roberto Baschetti’s home in the Buenos Aires outskirts of Bella Vista I heard some noises in the middle of the night. I got up to see where the noises were coming from when I was confronted by this apparition who no doubt must be the ghost of Doña Petrona. Nora Patrich is a wonderful cook and my only explanation is that somewhere in her house she must have hidden a dog-eared copy of El Libro de Doña Petrona. “El rebozo que dejaste aquella noche fue testigo de momentos tan felices…” bien podría decirse parafraseando al bolero del portorriqueño Tito Rodríguez, aquel inigualable cantautor de los ’70. Alex con su curiosidad siempre latente y su magia escondida detrás de un lente fotográfico hizo el resto. Me hizo posar para la posteridad con ese manto sagrado y me sentí parte de una historia sin saber muy bien cual era esta, de donde venía y hacia donde iba. Poderosa imagen visual que me acompañará el resto de mi vida porque resume y evidencia diversas sensaciones agradables. Una: estar en la plenitud de mi vida intelectual que se traduce en libros y artículos editados de mi autoría, en charlas y conferencias sobre el tema que me apasiona y en el asesoramiento a los más jóvenes que se introducen en los laberintos de nuestra historia argentina contemporánea. 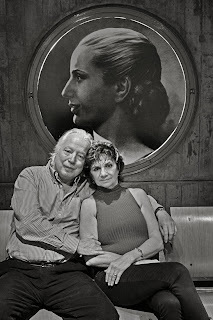 Otra: retrato fotográfico que se condice con un momento feliz en mi pareja, donde Nora se vuelve paradigma de amor, honestidad y empuje frente a un futuro, que a su lado, ya no parece tan incierto. Una más: el que me apunta con la lente para obtener esa instantánea es Alex Waterhouse-Hayward, que siento que me privilegia con su amistad y con el cual he construido un canal de diálogo, afecto y complicidad que no es muy común se manifieste en dos personas con más de tres cuartos de sus vidas hechas. Sus sentimientos –que él muchas veces trata de ocultar- afloran, desbordan, enriquecen, cada una de sus acciones, haciéndolo un ser humano irrepetible y único. Y esos sentimientos me llegan, y me potencian y me motivan “ad infinitum”. No es poco. 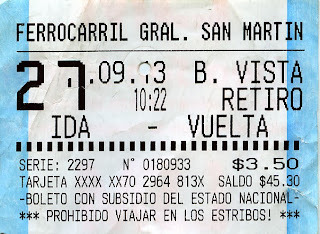 For close to three weeks I took the train, the San Martín Line, from Bella Vista, Provincia de Buenos Aires to Retiro and back. Anytime any of my relatives or friends found out about this journey of mine they would warn me about taking anything valuable with me. They told me not to pack cameras or my aging laptop. They almost made me feel paranoid. But I had a spade up my sleeve, a very good Ace of Spades. I mimicked Claude Rains in the Invisible Man to perfection. Part of the invisibility package had me wearing my dark sunglasses. Within days I fit in. 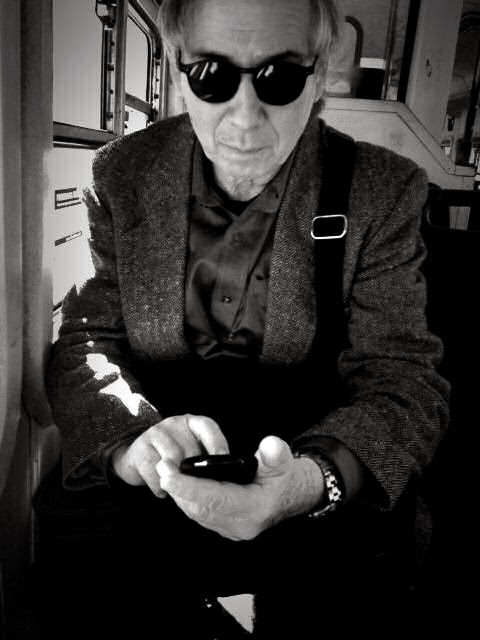 I would be reading a newspaper, a best-seller, Marcos Aguinis La Furia de Eva Perón or taking out my phone and making as if I was checking something just like everybody else in what must be one of the most wired (unwired) cities on earth. While I would have never tempted fate and snapped with Nikon FM-2 or my brand new Fuji X-E1, my iPhone enabled me to take a few pictures unoticed. 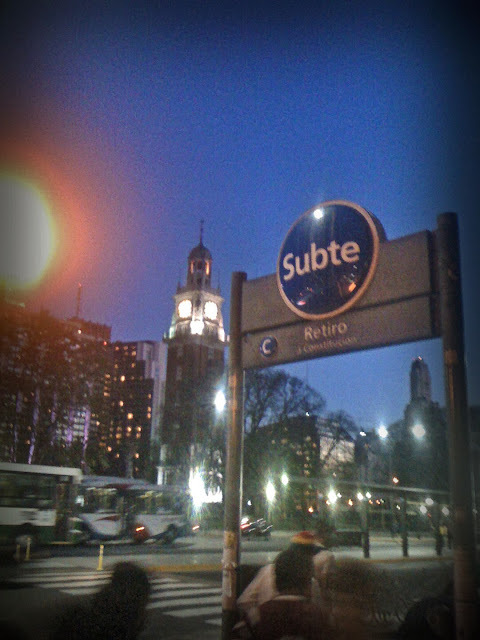 I am happy to report that in Buenos Aires this erstwhile porteño somehow still looked like one and nobody ever did give me more than a passing glance. In this three week trip to Buenos Aires from mid September to October I noticed a few parallels that until then had been unbeknownst to me. As a roundabout introduction to the above I must mention a phone call I had some months ago with my first cousin Willoughby Blew (cousin on my father’s side) who lives in Florida. I happened to mention President Kennedy and that led to a long stream of nasty comments on what a terrible president and horrible man Kennedy had been. Willoughby caught me completely off my guard and I was speechless. 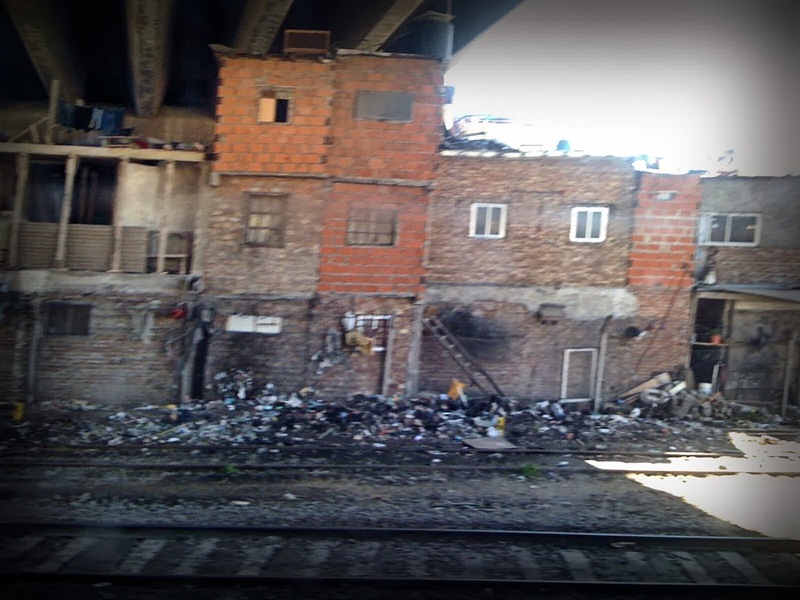 No matter when you go to Buenos Aires, Porteños will always tell you that things have never been worse. This cannot quite be true as things were worse during the military dictatorship between 1976 and 1983. Thousands disappeared. 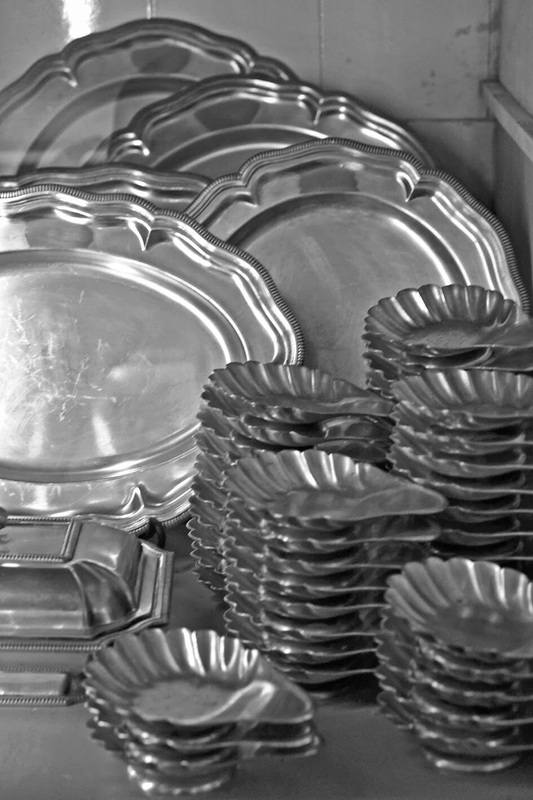 Some of these were thrown out of airplanes or helicopters over the River Plate. My native country is polarized between those who see and saw Juan Domingo Perón (October 8, 1895 – July 1, 1974) as a saviour or a villain. Those who consider him a villain tend to be part of the upper crust aristocracy and the very Roman Catholics. 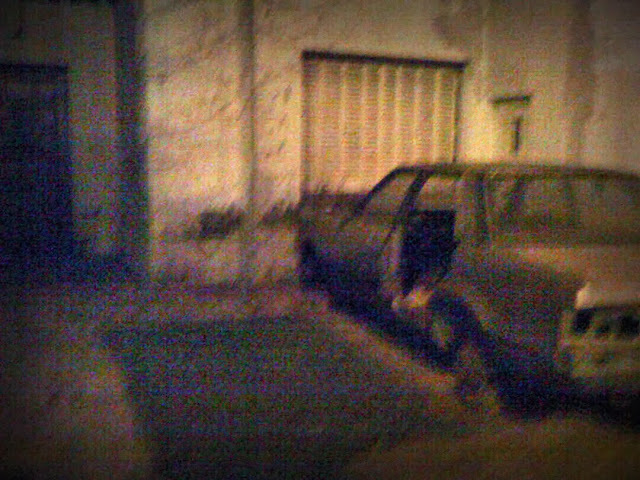 My stay in Buenos Aires see-sawed between the homes of those two camps. 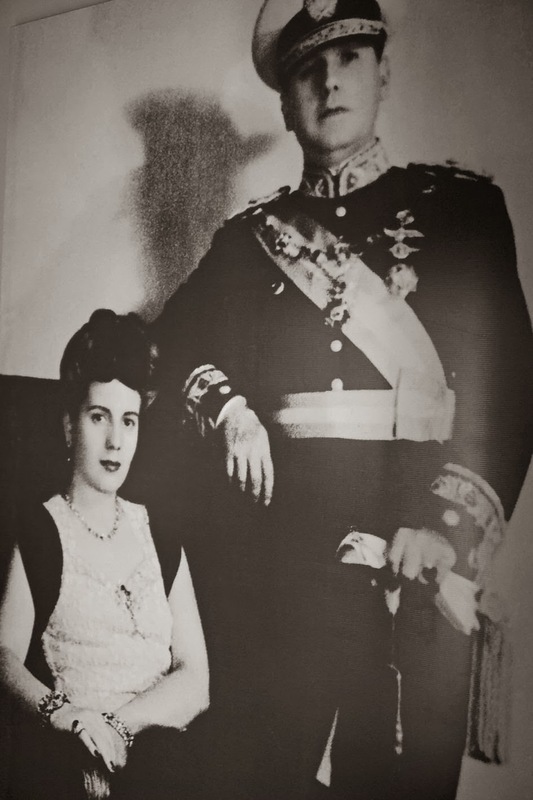 You can also say that what holds true about Perón does too on opinions on his second wife Eva Duarte de Perón (7 May 1919 – 26 July 1952). My knowledge of Eva Perón (who lived with Perón between 1944, until she died in 1952, they were married in 1945) is from a young boy’s experience. I saw her once in person when our school bused us to a tree planting ceremony. 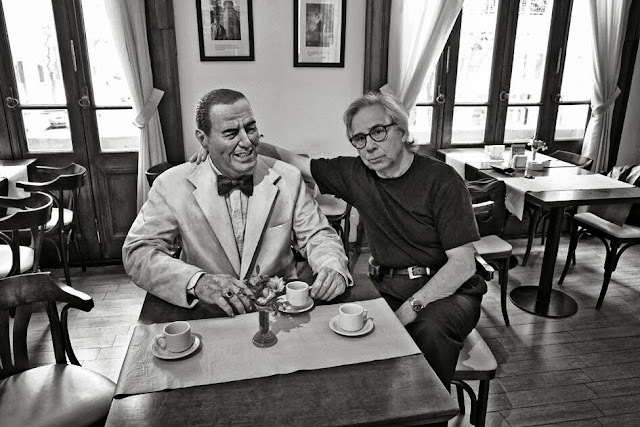 In the early 50s we lived next to some Peronists who always turned on their home radio to full blast during the speeches that Perón and wife would give during national days like 25 de mayo and 9 de Julio. Her voice is embedded in my brain. Another view on Evita is the fact that on January 6, the feast of the Three Wise Kings she distributed toys to children. These toys were wooden (very valuable now if you kept them). I hated them, preferring Meccanos and Erector sets. When she died in July of 1952 the incredible outpouring of grief introduced me to the Beethoven and Chopin’s funeral music. 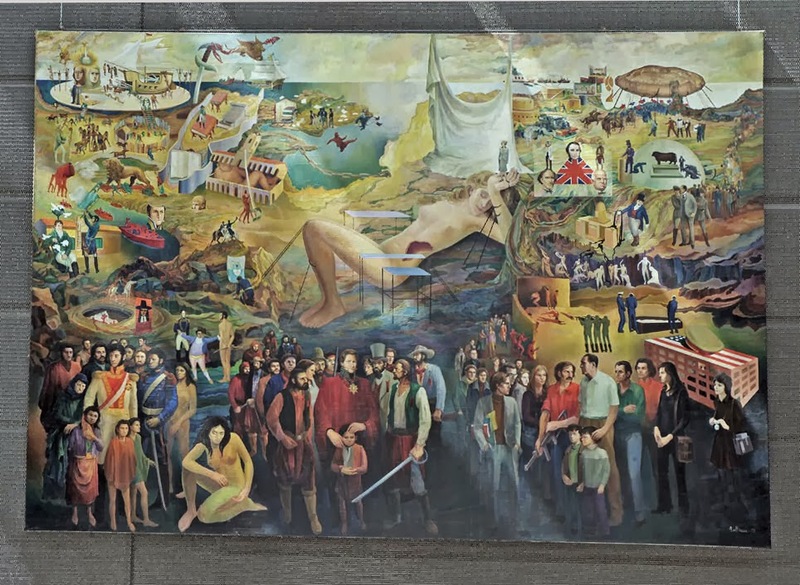 The place where her body was placed in state was called with the dramatic name of capilla ardiente (flaming chapel). The long funeral cortege which I saw in the newsreels at the movies is still in my memory. 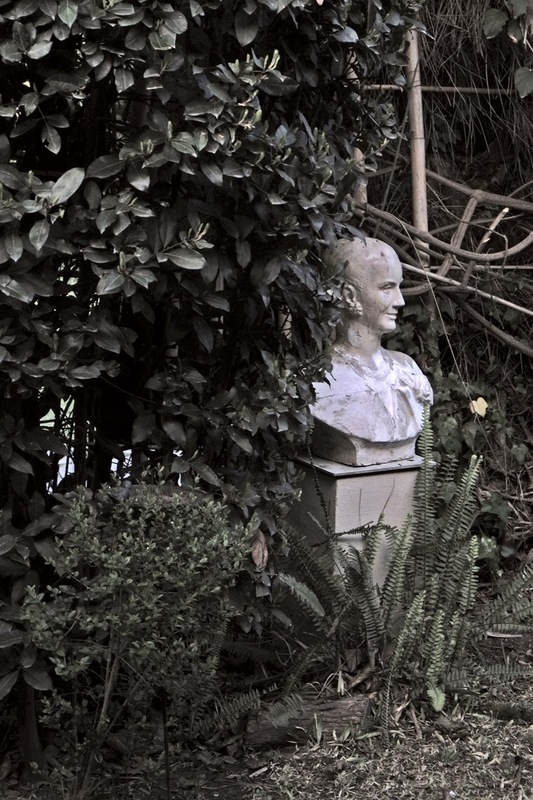 Of the woman I knew nothing except what my grandmother would tell me. She said that Evita was a nasty Robin Hood who stole from the rich aristocracy and gave this to the poor as being hers. After she died there were stories of people complaining at the butcher shop that there was not meat to buy. The stories continued with accounts that those who had complained were arrested or disappeared. The Argentine reality in 2013 is that most politicians call themselves Peronists even if they are from all sorts of splinter groups. Those in power now call themselves Kirchneristas. The president, Cristina Kirchner inherited her husband’s, Nestor Kirchner, when he died. So you have left-wing and center and center right wing Peronists. 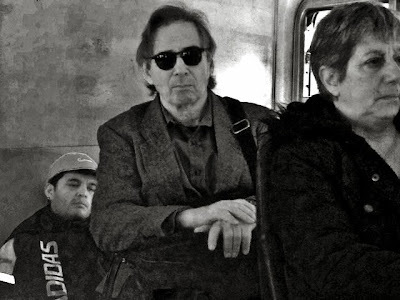 They are all Peronists. Juan Domingo Perón was booted out by the armed forces September 1955. By then my family had moved to Mexico City. 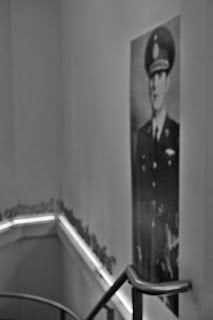 When I returned for my military service there was a freely elected president, Umberto Illía (October 12, 1963 – June 28, 1966). That June 28 I was present on the coup d'etat that took him down. 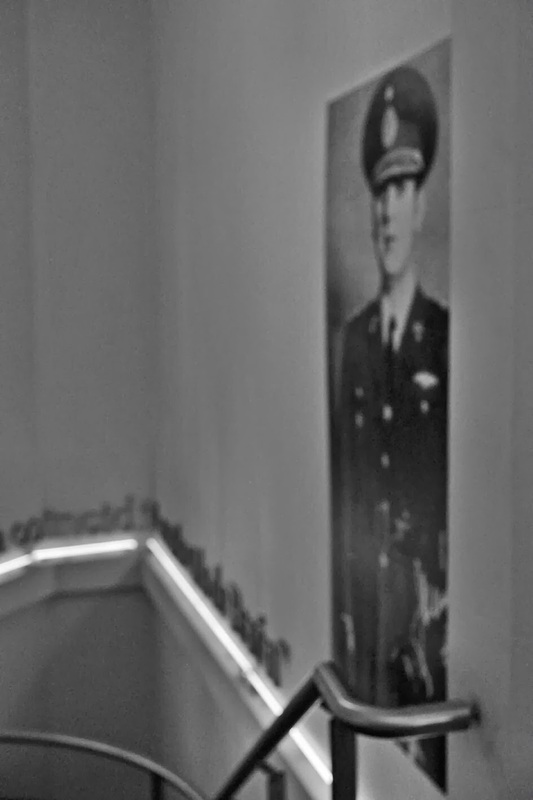 Until I left in December, 1966 Argentina to return to my home in Mexico, we were subject to constant mobilization to our barracks because of the rumors that Perón was coming back from his exile in Spain. I am now making up for lost time on information on what happened to my country when I finally left it for good that December 1966 by reading as many books as I can on the subject. 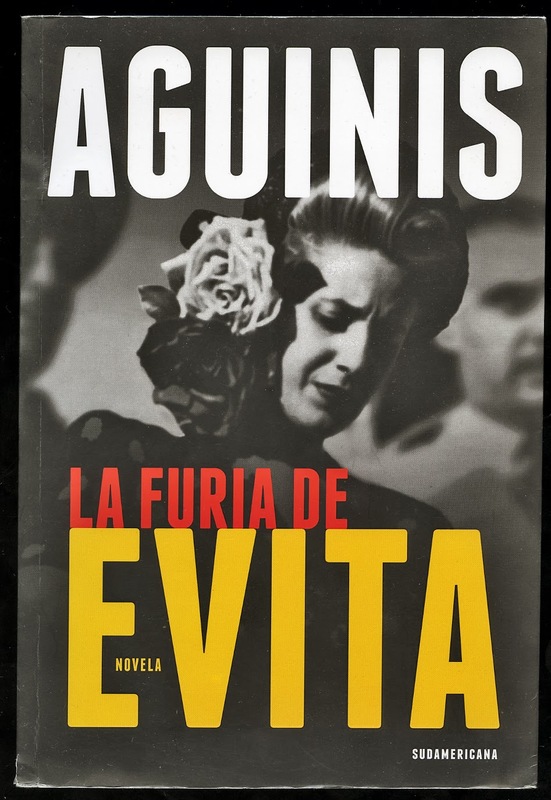 Of late I finished a novel; by noted Argentine author Marcos Aguinis called La Furia de Evita. It is a beautifully written book in the first person that is similar to Jerome Charyn's The Secret Life of Emily Dickinson. When Charyn published the book last year he was criticized by many for taking the liberty of attempting to be a woman in the first person. His book was defended by no less an author and a woman, Joyce Carol Oates. 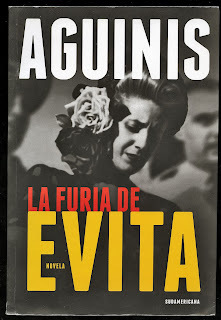 Of Aguinis’s book my friend Nora Patrich told me not to believe anything in the book (she has not read it) as it is a novel. I have read countless essays on how novels sometimes circumvent the subjective view of non-fiction writers to actually tell many truths. 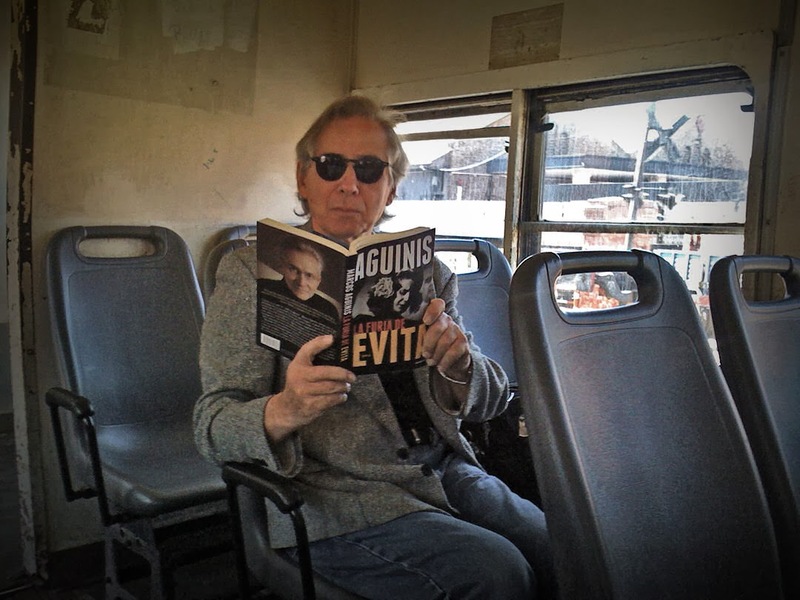 I did not attempt to tell Patrich that Aguinis paints Evita in a very good light and makes her an intelligent person who had many talents including one of knowing what to say to people while standing behind a microphone. If anything Evita comes out as the more politically savvy, almost ruthless in comparison to her husband Perón. But going back to my initial paragraph, Perón and Evita seem to me to be almost a Kennedy and Jackie kind of celebrity cult. They are seen as being part of rosier times even if the reality of those times does not quite jibe. 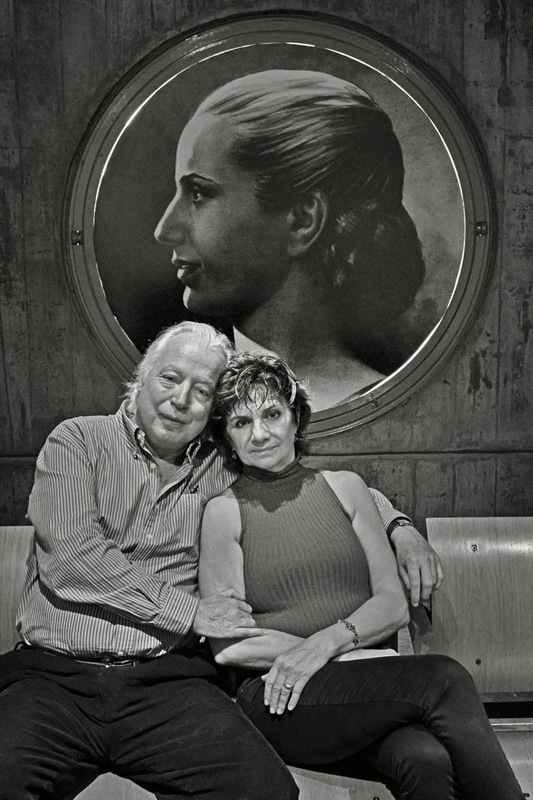 Nora Patrich is curating a show in 2014 in the Evita Museum. She is placing in the show some extensive work of her own. I have seen some of it at a very strange but interesting store called Los Octubres of which I will write a bit more below. Let’s first visit the museum. I went to the museum and met for lunch with Nora Patrich, her partner Roberto Baschetti and my first cousin Jorge Wenceslao de Irureta Goyena. 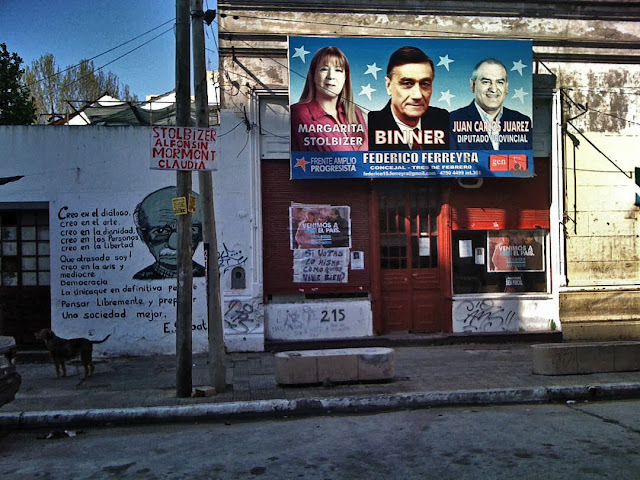 The Evita Museum has a fine dining restaurant. Everybody was most happy with their food and the excellent Malbec that Baschetti ordered. 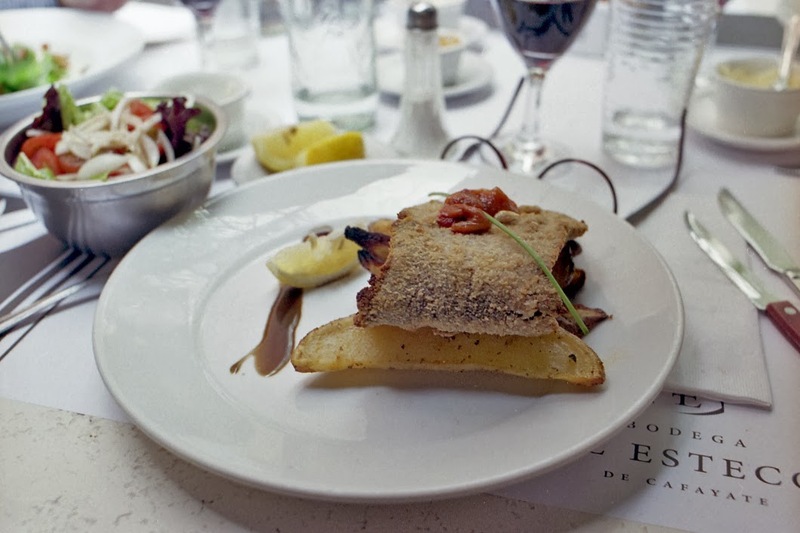 I was intrigued by something called “The Eva Perón Lunch”. This was a breaded veal cutlet twisted to resemble a cow’s tongue. And the veal cutlet could have easily replaced one of the soles of my shoes! But the dessert a “flan completo” (a flan served with sweet whipping cream and dulce de leche on the side, was awesome. The museum is nicely staffed and well-organized. The house is one that Eva Perón used to house young women who might have “gotten-into-trouble” Upon leaving I purchased an Eva Perón postcard with the idea of writing something in Spanish and sending it to my granddaughter Rebecca but unfortunately the wells stocked museum did not have postage stamps. The young man with the bad news looked like Colin Firth might have looked like when he was 19! 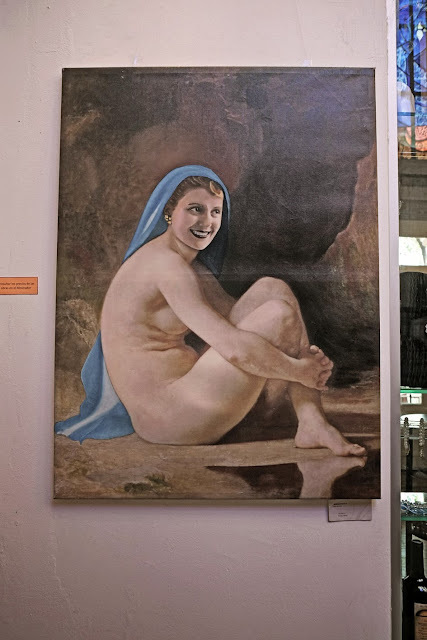 If the museum was done in absolute good taste in homage of a woman who is in the hearts of many Argentines a little store (on a second floor) in the still fashionable Palermo Viejo area of Buenos Aires was different altogether. They had everything you could possible want, not want or imagine related to Eva Perón and her husband but I did spot a few Che Guevara postcards. 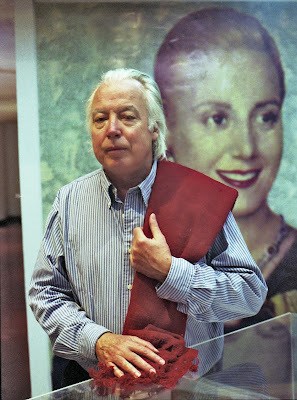 At this store, called Los Octubres (perhaps because in 1945, on October 17, Perón gave a most important speech that is now called El Día de La Lealtad) I found a beautiful silk scarf with Evita exactly as she now looks on some Argentine Peso bills which I bought for Rebecca. They also had some striking postcards that are reproductions of Nora Patrich’s paintings of Evita. 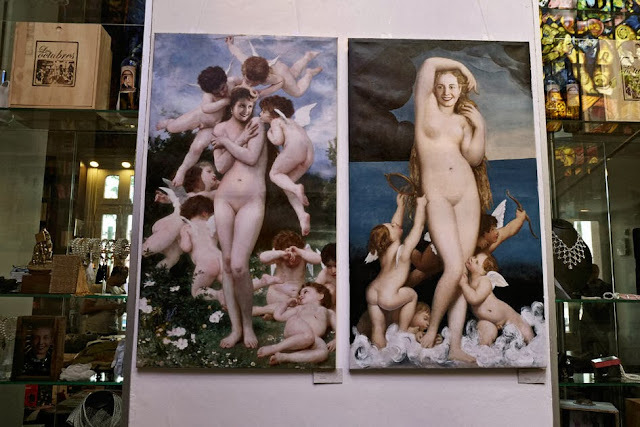 But in one room I found some paintings that are of questionable bad taste that still made me smile. Another very nice museum, El Museo del Bicentenario is tucked to one side of the Casa Rosada, downtown by Plaza de Mayo. It was here that I found the romantic painting, seen in the beginning of this blog of Juan Perón and Evita. A second painting, one showing three important men (and many others) in Argentine history, the liberator General San Martín, the powerful 19th century dictator Juan Manuel de Rosas (a friend of Darwin) and Juan Domingo Perón led me to ask one of the very young guides why it was that Evita was not in the painting. With a big smile on his face he showed me that she indeed was there standing on the hand of the very naked and most suffering woman who represents Argentina! 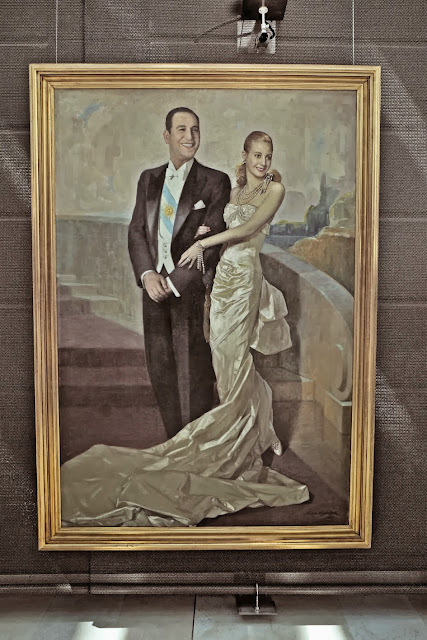 It would seem that Juan Domingo Perón and his wife Evita are similar to the US’s President Jack Kennedy and his wife Jacqueline. Both couples are seen in a regal manner. The similarity ends because Perón did not die at the height of his popularity (Evita did). When Perón eventually did return to Argentina in 1973 and there was a terrible massacre of his followers at Ezeiza airport, few now mention (even avowed Peronists) that he came with a third wife, Isabelita and that when Perón died in office she became Argentina’s first female president who was done in by a General Jorge Videla in 1976 and which ushered in the repressive military juntas that climaxed with President (General) Leopoldo Galtieri taking las Islas Malvinas (I will not write here their other name, after all I am still sort of an Argentine). 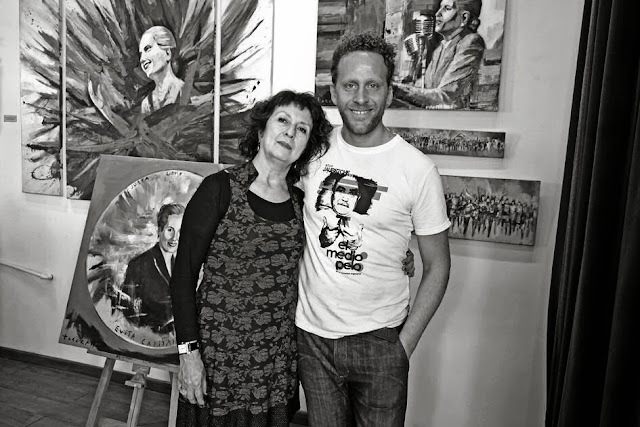 One way or another Perón and wife will dominate Argentine politics, culture and literature for many years to come. 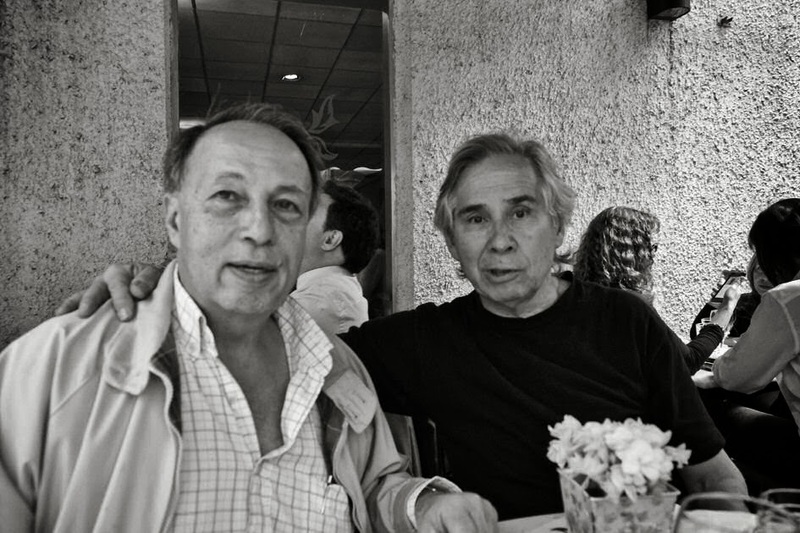 One writer who wrote a most strange and very short story called El Simulacro was Jorge Luís Borges. His story, one of my favourites reads Gothic. Here it is in English with an analysis below it by Margaret Schwartz. In case you don’t know, Borges never did see Perón or his wife in favourable light. One day in July, 1952, the man dressed in mourning weeds appeared in that little village on the Chaco River. He was a tall, thin man with vaguely Indian features and the inexpressive face of a half-wit or a mask. The townsfolk treated him with some deference, not because of who he was but because of the personage he was portraying or had by now become. He chose a house near the river; with the help of some neighbor women he laid a board across two sawhorses, and on it he set a pasteboard coffin with a blond-haired mannequin inside. In addition, they lighted four candles in tall candleholders and put flowers all around. The townsfolk soon began to gather. Old ladies bereft of hope, dumbstruck wide-eyed boys, peons who respectfully took off their pith hats — they filed past the coffin and said: My condolences, General. The man in mourning sat sorrowfully at the head of the coffin, his hands crossed over his belly like a pregnant woman. He would extend his right hand to shake the hand extended to him and answer with courage and resignation: It was fate. Everything humanly possible was done. A tin collection box received the two-peso price of admission, and many could not content themselves with a single visit. What kind of man, I ask myself, thought up and then acted out that funereal farce — a fanatic? a grief-stricken mourner? a madman? a cynical impostor? Did he, in acting out his mournful role as the macabre widower, believe himself to be Perón? It is an incredible story, but it actually happened — and perhaps not once but many times, with different actors and local variants. In it, one can see the perfect symbol of an unreal time, and it is like the reflection of a dream or like that play within a play in Hamlet. The man in mourning was not Perón and the blond-haired mannequin was not the woman Eva Duarte, but then Perón was not Perón, either, nor was Eva, Eva — they were unknown or anonymous persons (whose secret name and true face we shall never know) who acted out, for the credulous love of the working class, a crass and ignoble mythology. 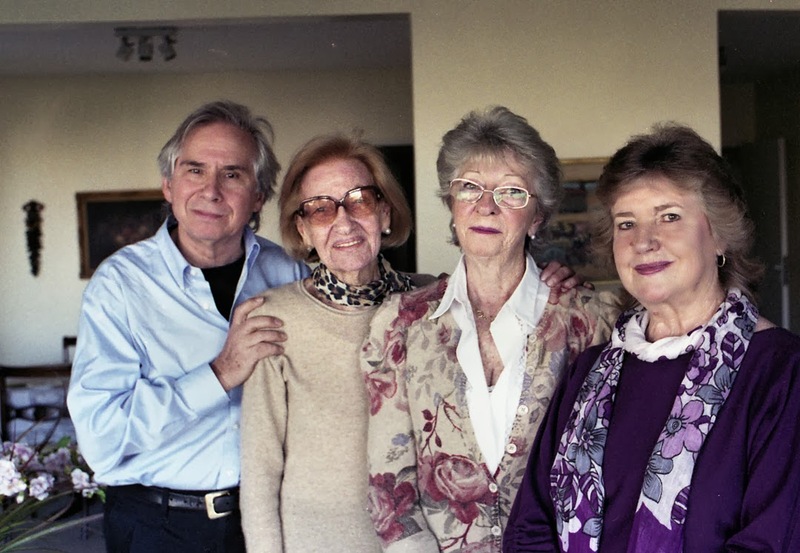 I knew weeks in advance that I was going to have tea on Friday, October 4 with my three Argentine first cousins (on my father’s side) in Buenos Aires. 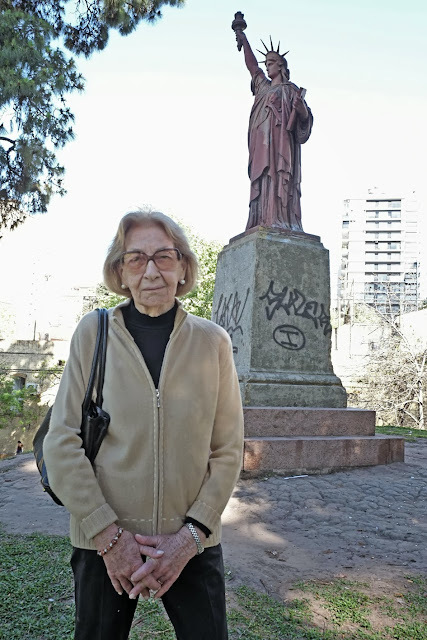 It was to be at Inesita O’ Reilly Kuker’s apartment in Belgrano C. The principal reason why I was going to travel to Buenos Airs was that Inesita, also my godmother was going to celebrate her 90th on October 2. 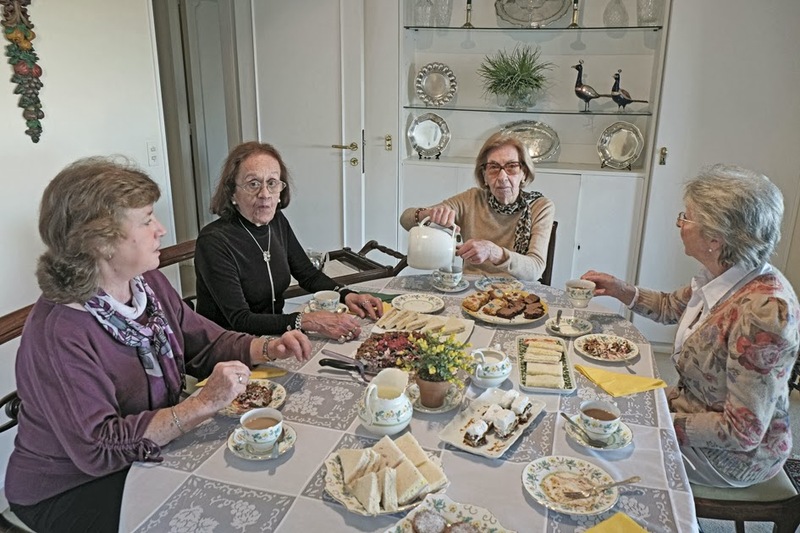 Our two other first cousins, Elizabeth Blew and Diane Hayward did not want to attend the huge celebration to be held at the highfalutin Club Náutico San Isidro and were opting for a more quiet tea. What was I to bring for the occasion from Vancouver? At Murchie’s I found Canadian Breakfast Tea. This was a concoction that contained maple syrup. I tried a sample and it wasn’t too bad. Most important it was Canadian. When I brought the bag of loose tea a few days before, Lorena, Inesita’s live-in nurse asked me how to prepare the tea. I gave her all the necessary instructions including the heating of the tea pot with boiling water and the drying of it (something that British author Anthony Burgess always insisted was a most important part of the process). The day of the tea we all sat down and our foursome had an extra person. This was Dolly, Inesita’s friend. She is her last remaining friend, alive. That is what happens when you celebrate your 90th. The best part of the tea consisted in some homemade alfajores (a sort of Argentine cookie filled with dulce de leche and covered with dark chocolate) that Elizabeth Blew brought and the wonderful sanwiches de miga. These are a typical Argentine improvement over the English sandwiches made with bread with the crusts cut out. The difference is that the Argentine variety is made from very large loaves so that the sandwiches are not miniature finger ones. The women seemed to enjoy the tea but I noticed that as soon as we finished the first pot the usual Argentine (quite good) Taragüí brand tea was used. Perhaps the most amazing event of a most pleasant afternoon is that the usually dour Diane Hayward seemed to smile more than she has in the past. Some of us believe that perhaps of late she must have gotten lucky. 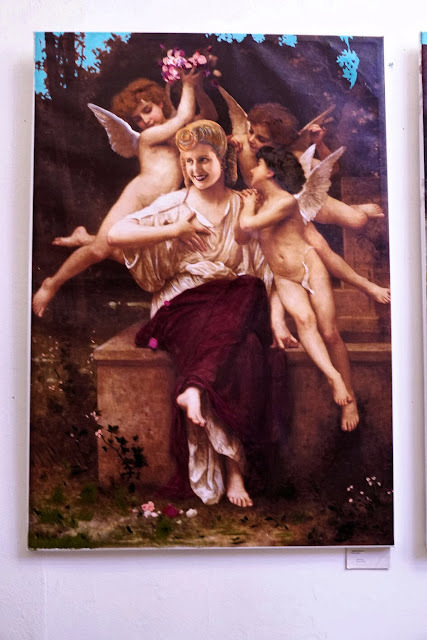 It is the formerly red-haired Elizabeth who told me that could be the only explanation for that strange turn of events. 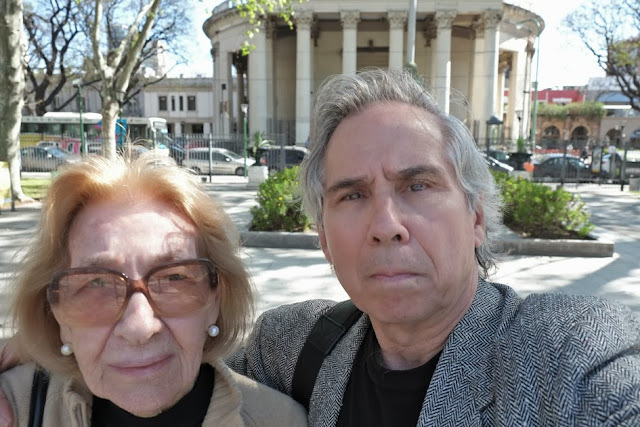 After giving our goodbyes the two first cousins walked down the sloping park, Barrancas de Belgrano to the Belgrano C station to return to their homes at the Olivos station going north. 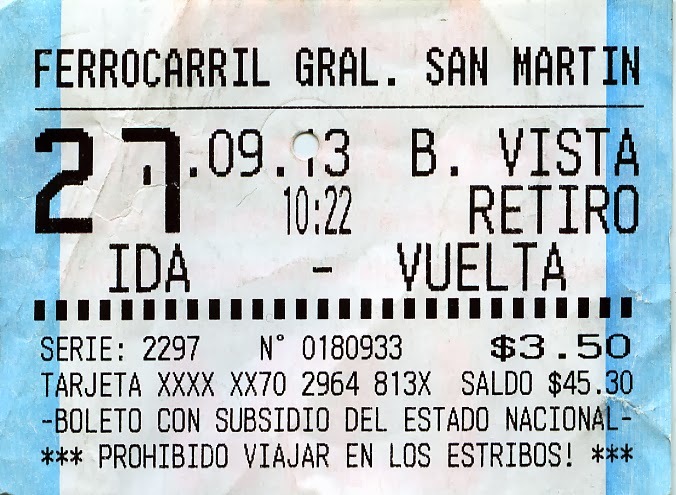 I took my train south to Retiro where I changed from the Mitre Line to the San Martín Line to Bella Vista and home with Nora Patrich and Roberto Baschetti.